Are Your Automated IT Alerts Being Ignored? As an IT leader, you know that reacting to an unending influx of alerts takes up your engineers’ valuable time and resources, costs money, and prevents your IT department from playing a strategic role in your company’s success. 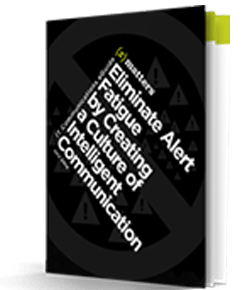 Read this guide and learn what you can do right now to stop alert fatigue so you can focus on addressing your real business needs.